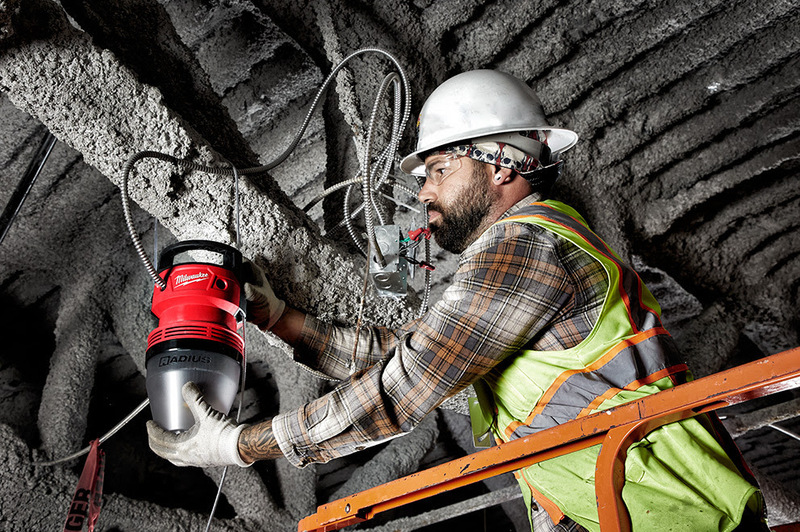 Milwaukee Tool is excited to announce that they have, yet again, expanded their Lighting Solutions with the introduction of a new-to-world AC-powered lighting solution that’s designed to significantly reduce labor time, maintenance cost, and energy consumption. 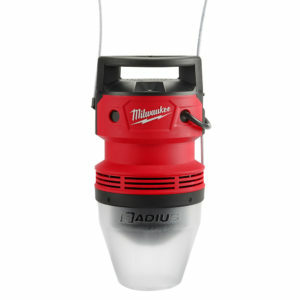 It’s called the RADIUS LED 70W Temporary Site Light! 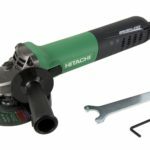 This solution is ideal for electricians! 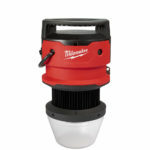 Keep in mind this is not an M18 cordless light, it’s an AC powered light. It comes with a 3 foot power cord and can also be hardwired if needed. MILWAUKEE, WI – Milwaukee Tool continues to expand their leadership in jobsite LED lighting with the introduction of a new-to-world AC-powered lighting solution designed to significantly reduce labor time, maintenance cost, and energy consumption. The RADIUS™ LED 70W Temporary Site Light is easy to set up and can instantly light up the work space with 7,700 lumens of TRUEVIEW™ high definition light – exceeding the performance of 105W fluorescent lights while consuming 30% less power. Once set up, the light requires no maintenance and its high impact construction ensures it’ll survive the toughest jobsite conditions. 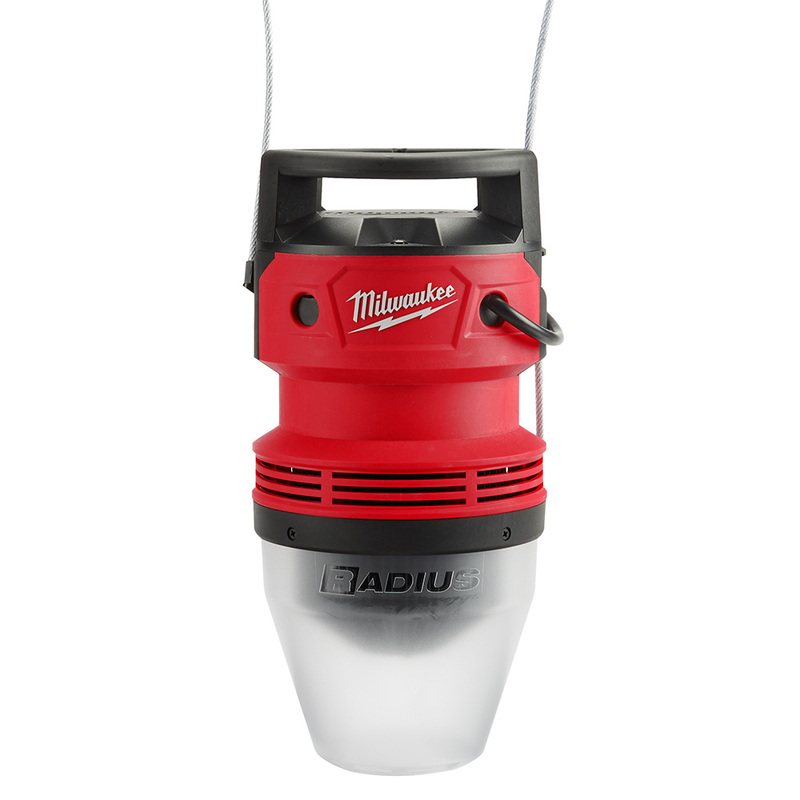 Capable of providing up to 7,700 lumens of light, the new RADIUS™ LED 70W Temporary Site Light features TRUEVIEW™ Technology, which utilizes the most advanced LED technology and optical designs to deliver a consistent beam, optimized color temperature, and true representation of colors and detail leading to a more productive work area. 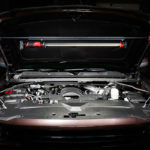 The light comes with a 3ft 120v power cord for out of the box use. If there is a need to wire many lights within one circuit the light features an integrated wiring terminal, accepting voltages from 120 to 277V, which can be wired together in a series with MC, ROMEX, or SO cable through universal strain reliefs. Able to hang from virtually any overhead area with its convenient hanging cable, the new light has a spring-loaded cable retention so the user can speed up the installation process and easily adjust the height of the cable during installation. The durable high impact polycarbonate lens design can survive harsh jobsite conditions. 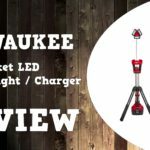 Similar to all of Milwaukee’s high output LED lights, the new light also features a limited lifetime LED warranty, and a 5-year warranty on the product. Through their continued investments in game-changing technology, Milwaukee® will remain relentless in the design and development of lighting solutions with the ability to adapt, perform and survive the demands of professional use.